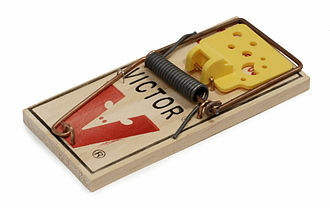 Not to be confused with Ferrari 500 TR or Ferrari Testarossa. The Ferrari 250 Testa Rossa, or 250 TR, is a racing sports car built by Ferrari from 1957 to 1961. It was introduced at the end of the 1957 racing season in response to rule changes that enforced a maximum engine displacement of 3 liters for the 24 Hours of Le Mans and World Sports Car Championship races. The 250 TR was closely related to earlier Ferrari sports cars, sharing many key components with other 250 models and the 500 TR. The 250 TR achieved many racing successes, with variations winning 10 World Sports Car Championship races including the 24 Hours of Le Mans in 1958, 1960, and 1961, the 12 Hours of Sebring in 1958, 1959 and 1961, the Targa Florio in 1958, the 1000 Km Buenos Aires in 1958 and 1960 and the Pescara 4 Hours in 1961. These results led to World Sports Car Championship constructor's titles for Ferrari in 1958, 1960 and 1961. The 250 Testa Rossa was initially developed to compete in the 1957 World Sports Car Championship racing season, in response to rule changes planned for the upcoming 1958 season that would enforce a maximum engine displacement of 3 liters. The objective was to improve on the existing 4-cylinder 2.0L 500 TR/500 TRC Testa Rossa by integrating the more powerful Colombo-designed 3.0L V12 as used in 250 GT series. Along with the new engine, Ferrari improved the existing Testa Rossa chassis and bodywork. 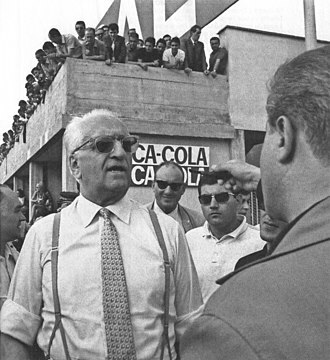 As with other Ferrari racing cars, Enzo Ferrari demanded absolute reliability from all components, resulting in a somewhat conservative design approach that aimed for endurance racing success through durability rather than overall speed. Carlo Chiti was the chief designer during 250 TR development and his continual experimentation counterbalanced Mr. Ferrari's conservatism and led to the many revisions that kept the car competitive through 1962. Other Ferrari engineers had major contributions to the 250 TR, notably Giotto Bizzarrini, who helped with aerodynamic improvements for the 1961 season, and Andrea Fraschetti, who helped developed the first 250 TR prototype before his 1957 death during a test drive. The 250 TR was raced and continually developed by Scuderia Ferrari from 1957 through 1962. In total, 33 250 TRs of all types were built between 1957 and 1962. Included in this total are 19 "customer versions" of the 250 TR sold to independent racing teams, replacing the 500 TRC for this market. All customer cars had left hand drive Scaglietti "pontoon fender" bodies and live rear axles. 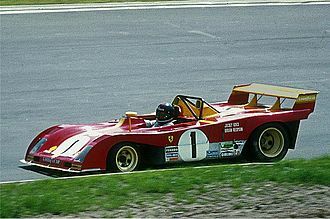 They did not benefit from the continual improvements to Scuderia Ferrari cars, although many independent teams modified their 250 TRs or purchased ex-Scuderia Ferrari cars in order to stay competitive. The 250 Testa Rossa engine was based on Colombo-designed 3.0L V12 used in 250 GT road and racing cars. Carlo Chiti and other Ferrari engineers made several modifications to increase the performance of this already proven engine. 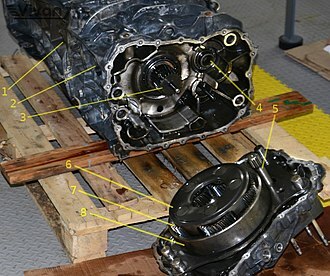 The starting point was a 1953-style cylinder block with an overall capacity of 2953 cc, a 73mm bore and 58.8 mm stroke. Six two-barrel Weber 38 DCN carburetors fed the engine, increased from the 3 carburetors typical for 250 GT engines. The cylinder heads used single overhead cams, 2 valves per cylinder and helical double-coil valve springs (a first for Ferrari). The helical valve springs were much smaller than previously used torsion springs, allowing the cylinder heads to be strengthened and secured with 24 studs rather than 18 in previous 250 engines. This increased the overall reliability of the engine by improving head gasket sealing. One spark plug was used per cylinder and the position was changed from earlier 250 designs, now located outside the engine vee between exhaust ports. This allowed for a better spark position and more efficient combustion. Piston connecting rods were now machined from steel billet, rather than forged, which resulted in more stress-resistance at higher RPMs. The cam covers were painted bright red, the source of the name "Testa Rossa" (literally, "Red Head"). This tradition and name originated with the 500 TR. The resulting engine was designated Tipo 128 and generated 300 hp (220 kW) at 7000 rpm. The power/displacement ratio of 100 hp/liter was a particular point of pride for Ferrari, as it demonstrated how Ferrari's engineering prowess could create a competitive engine even under rules restricting displacement. The engineering team improved a well understood, proven design by incorporating new technology and strengthening known weak points. They created an exceptionally durable engine, a massive benefit in endurance racing. Other Ferrari racing cars (250 GTO, 250 P) achieved racing success with the same basic engine well into the 1960s, years after the 250 TR chassis was obsolete. 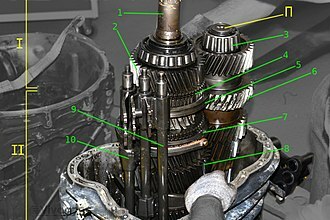 1957-1958 250 TRs used a 4-speed transmission, followed by a 5-speed transmission in 1959. 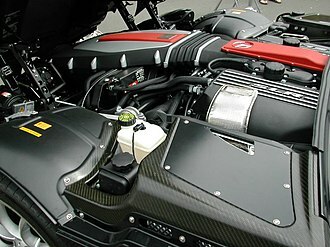 Customer cars were equipped with a 250 GT-style transmission positioned directly behind the engine, while Scuderia Ferrari team cars sometimes used rear-mounted transaxles for better weight distribution. All 250 TRs used independent front suspension with coil springs. All customer cars had live rear axles. Pre-1960 factory team cars used either live or de Dion rear axles while the 1960 250 TRI60 and 1961 250 TRI61 used independent rear suspension. 1957 and 1958 250 TRs were equipped with drum brakes on all four wheels. Enzo Ferrari insisted on the use of drum brakes in the early 250 TRs as he believed they were more reliable and predictable in how they faded compared to more powerful but relatively new disc brakes. 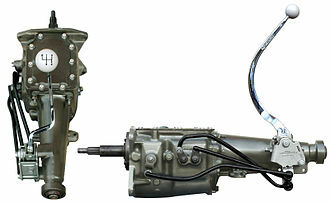 Drum brakes were unpopular with drivers as they required tremendous physical exertion to operate, due to lack of servo assist and the extremely hard, long-lasting pads used for endurance races. Despite the extensive air cooling used in the 1958 "pontoon fender"-bodied cars, drum brakes were still subject to heat-induced fade. They were finally replaced with Dunlop disc brakes in all Scuderia Ferrari cars for the 1959 race season. All 250 TRs had 2-seater spider bodies, as did the earlier 4-cylinder Testa Rossas. At the time, this was considered the lightest and most aerodynamic configuration for a racing sports car. The first 250 Testa Rossa prototype (chassis number 0666TR) debuted at the 1957 Nürburgring 1000km. 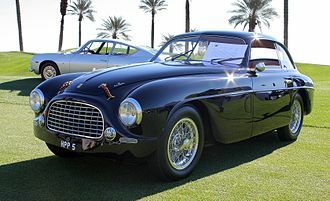 This hastily prepared prototype was based on a 290 MM chassis and had conventional bodywork by Scaglietti very similar to that of the 4-cylinder 500 TR, except for a large hood bulge. For the 1958 250 TR, new bodywork was developed in collaboration between Scaglietti and Chiti with several innovations on the previous 4-cylinder Testa Rossa body. Instead of the conventional fully enclosed front end, the new body had a distinctive cut-away nose reminiscent of a Formula 1 car. The protuberant central air intake was now flanked by deep channels and the headlights were set into nacelle- or pontoon-like fenders that enveloped each front wheel. The purpose of this design was to funnel cooling air inwards towards the brake drums, mitigating the persistent problem of heat-related fade. 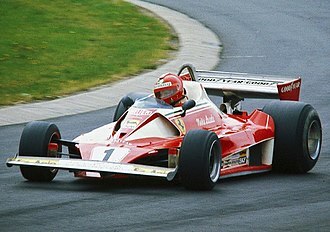 The lower body was recessed inwards behind the front wheels in order to vent heat from the brakes and exhaust. The front hood was topped with a large bulge and air intake (forward facing on some cars, reverse facing on others) to provide clearance for the vertically oriented carburetors. The rear bodywork was more conventional, including a tapered fairing behind the driver's head and two small brake lights set into vertical fins. The distinctive cutaway-nose bodywork of the 1958 cars became the most iconic 250 TR style and was used on all cars sold new to private customers. This resulted in the colloquial name for early Scaglietti-bodied 250 TRs: "pontoon fender." Despite their radical appearance, racing and test runs soon showed that this design generated a significant amount of aerodynamic drag and high speed instability. This was especially noticeable when competing on high speed courses such as the Circuit de la Sarthe against more aerodynamic cars such as the Maserati Tipo 61 and Jaguar D-Type. As a result, the Scaglietti bodywork was soon revised and a wide variety of alternative styles were created from 1958 through 1961. Even during 1958, some Scuderia Ferrari cars were equipped with more conventional bodies in the style of the 1957 prototype. The 250 TR's open interior was simple and utilitarian, lacking the luxury trimmings found in Ferrari GT cars. The instrumentation and controls were completely focused around the driver. Like other 1950s and 1960s Ferrari sports cars, 250 TRs were equipped with an open gated shifter and a Nardi wooden steering wheel. The 250 TR was subject to continual iteration and refinement from 1957 to 1961, resulting in numerous differences between individual cars that may or may not coincide with different chassis production dates. As was common with Ferrari racing cars of the 1950s and 1960s, 250 TRs were frequently modified and updated by the Ferrari factory and/or private owners. Bodywork was often changed to improve performance or to repair crash damage. Ferrari historians track these changes with a numbering suffix based on year of production (such as 250 TR61 for a 1961-style car) as well as descriptors such as "Spider Fantuzzi" to denote cars with bodies fabricated by Fantuzzi. Despite this historiographical systematization, the low-production, hand-built nature of these cars and their use and modification in period mean that differences are most thoroughly explained in the context of an individual chassis' history. For the 1959 season, the 250 TR body design was lightly revised by Pininfarina, with fabrication of the bodies handled by Fantuzzi. The cutaway nose with pontoon fenders was gone, replaced by a more aerodynamic design that still incorporated many ventilation grilles and air inlets. The 1959 250 TR was the first Ferrari sports car to use disc brakes (manufactured by Dunlop). Disc brakes are much less susceptible to heat build-up and fade than drum brakes, so the extra air cooling provided by the 1958 Scaglietti body was no longer necessary. 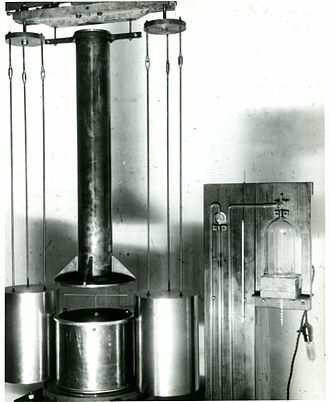 Dry sump lubrication systems became standard equipment for all 250 TRs in 1960. This allowed the engine to sit lower in the chassis, lowering the car's center of mass for improved handling and enabling a lower, more aerodynamic front profile. Rear independent suspension was introduced to the 250 TR in 1960. The car equipped with independent suspension was designated the 250 TRI60 (chassis 0780TR) and throughout the season raced alongside the 250 TR60 equipped with a conventional de Dion rear axle. The body of the 250 TR again changed for the 1960 season, primarily due to new regulations requiring a windshield with a vertical height of 25 cm. The new, larger windshield was immediately disliked by drivers, as it was difficult to see over, the plexiglass material could not be effectively cleared by windshield wipers, and the much larger surface area increased drag. 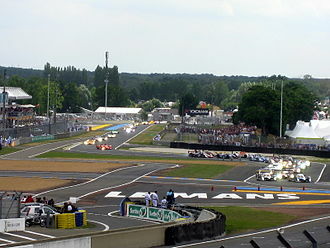 The excess drag resulted in a top speed of 161 mph (259 km/h) down the Mulsanne Straight at Le Mans. In comparison, during the same race Masten Gregory's Maserati Tipo 61 reached approximately 175 mph (282 km/h). 1959 cars that were updated to 1960 specification (minus independent rear suspension) are often designated as 250 TR59/60. All 1961 250 Testa Rossas were designated 250 TRI61 as independent rear suspension was now standard. Due to high drag and visibility problems with the TR60 body style, Ferrari engineers including Giotto Bizzarini and Carlo Chiti were tasked with completely re-designing the 250 TR bodywork for the 1961 racing season. As a result, the new Fantuzzi-built TRI61 body incorporated a number of dramatic changes, informed by new aerodynamic theories and wind-tunnel testing. The windshield now had a more gradual slope and wrapped around both sides of the cockpit to meet the rear bodywork. Instead of the rounded tail with fairing for the driver's head, the TRI61 had a very high rear body that met the trailing edge of the side windows and tapered to a truncated, slightly concave Kamm tail. This bodystyle was called an "open coupe" and was very similar to bodies used on mid-engined Ferrari sports racers such as the 1961 Dino 246 SP. The front air inlet was now split into two openings, introducing the distinctive "sharknose" or "nostril" style that was also used on other Ferrari sports racing cars and the 156 Formula 1 car. For the 1962 season, Ferrari developed the final iteration of the front-engined Testa Rossa, the 330 TRI/LM (LM standing for Le Mans). The biggest change from the 250 TR was a Tipo 163 4.0 Liter Colombo V12 developed from the engine of the 400 Superamerica, further improved with Testa Rossa cylinder heads and other modifications seen on 250 TR engines. This engine produced 390 hp (290 kW) at 7500 rpm, significantly more power than the 250-series 3.0L unit. This engine design would be used again in the 1964 330 P.
The single 330 TRI/LM (chassis number 0808) was built from a damaged 250 TRI60 (chassis 0780TR). The original chassis was lengthened and a TRI61-style spider body by Fantuzzi was fitted. At the 1962 24 Hours of Le Mans, this car was driven by Olivier Gendebien and Phil Hill and became the last front-engine car to win an overall victory at Le Mans. The 250 TRI61 of Abate/Maglioli, driving for Scuderia Serenissima at the 1963 Nürburgring 1000km. The 250 Testa Rossa was raced successfully throughout the late 1950s and early 1960s. Independent teams raced the 250 TR alongside Scuderia Ferrari cars from 1958 on, although the most developed versions of the car were restricted to factory-sanctioned teams only. 250 TRs were extremely competitive during this time, winning 10 World Sportscar Championship races including the 1958, 1960, and 1961 24 Hours of Le Mans, the 1958, 1959 and 1961 12 Hours of Sebring, the 1958 Targa Florio, the 1958 and 1960 1000 km Buenos Aires and the 1961 4 hours of Pescara. Notable drivers included Phil Hill, Olivier Gendebien, Luigi Musso, Peter Collins, Dan Gurney, Wolfgang von Trips and Mike Hawthorne, among others. The excellent results of 250 TRs and Scuderia Ferrari's skilled drivers earned Ferrari the 1958, 1960 and 1961 Constructor's World Sportscar Championship titles. The Aston Martin DBR1 and the Porsche 718 were the 250 TR's closest competitors during this time. Stirling Moss drove a DBR1 to win first place against strong Ferrari opposition at the 1958 1000km Nürburgring, and DBR1s would go on to win over 250 TRs at the 1959 Le Mans, Nürburgring, and Tourist Trophy races, depriving Ferrari of the Constructor's World Championship in 1959. The Tipo 128 Colombo-designed 3.0L V12 developed for the 250 Testa Rossa would continue to be used in Ferrari sports racing cars through the early 1960s. 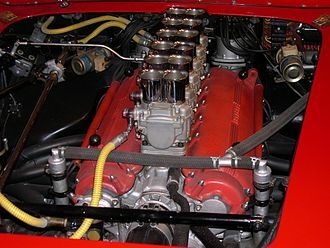 The 250 GTO, 250 P and 250 LM achieved racing success with this engine. Experimentation on 250 TR body styles from 1957 through 1962 provided Ferrari engineers with valuable experience in developing both low-drag and stability-promoting aerodynamic bodywork. The 250 GTO, Dino sports racers, and 250/275/330 P were the immediate beneficiaries of this knowledge. Ferrari named the 1984-1991 Testarossa road car as a homage to the 500 TR and 250 TR. In contrast to the front-engine V12-powered 250 TR, the Testarossa is a mid-engine design using a flat-12 engine and was designed as a road-going sports car, rather than a racer. The 250 Testa Rossa is one of the most valuable vintage Ferraris (and therefore one of the most valuable cars of any type), due to their low production (33 total including all 250 TR variants), racing success and historical influence. The 250 GTO is generally considered to have a greater monetary value, although true market values are difficult to determine due to how seldom either model is sold at auction. 250 TRs are often seen at prestigious auto shows such as the Pebble Beach Concours d'Elegance  and the Goodwood Festival of Speed. A 1957 250 TR (chassis 0714TR) sold for €9,020,000 at RM Sotheby's 2009 Maranello auction. The 1957 250 TR prototype (chassis 0666TR) sold for $16.39 million at the 2011 Gooding & Co Pebble Beach auction. 250 TR chassis 0704 reportedly sold privately in 2014 for $39.8 million. Fashion designer Ralph Lauren's extensive auto collection contains two 250 TRs, a 1958 Scaglietti-bodied car (chassis 0734TR) and a 1961 250 TR/61 Spider Fantuzzi (chassis 0792TR). The value, performance and historical significance ascribed to the 250 TR have motivated many individuals and companies to create reproduction automobiles. Sold as a "replica", "recreation" or "reproduction", these can vary widely in historical accuracy and sophistication, sometimes using Ferrari engines and chassis or simply attempting to replicate the body style of the original with unrelated mechanical underpinnings. Some of these reproductions have been unscrupulously represented as original, factory-built 250 TRs. As 250 TR values rose, some extremely damaged or destroyed 250 TRs were reconstructed using varying amounts of newly fabricated or non-original components. 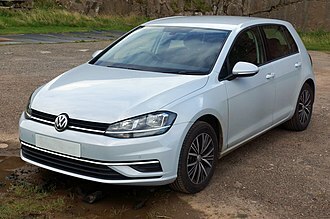 In at least one instance, this has resulted in a case of disputed identity, whereby multiple reconstructed or reproduced cars lay claim to a particular factory chassis number. ^ a b c d e f g h i j k l m n o p q r s t u v w x y z Antoine, Prunet, (1983). Ferrari : sport racing and prototypes competition cars. New York: Norton. ISBN 978-0393017991. OCLC 10382200. ^ a b c d e f g h i j Derrick, Martin; Clay, Simon (2013). Million Dollar Classics: The World's Most Expensive Cars. Chartwell Books. ISBN 978 0 7858 3051 1. ^ a b "Ferrari 250 Testa Rossa". Ferrari GT - en-EN. Retrieved 2015-12-14. ^ a b c d e f g h i Finn, Joel E. (2003). Ferrari Testa Rossa V-12. St. Paul, Minnesota: Motorbooks International. ISBN 0760317356. OCLC 52876643. ^ a b c Frère, Paul (April 1991). "A Mystery Solved: How the Testa Rossa Entered the Aerodynamic Era". Cavallino. 62: 16–17. ^ a b c d e f g h "250 Testa Rossa". Cavallino. 67: 20–27. February 1992. ^ "250 TR - Index". www.barchetta.cc. Retrieved 2018-09-10. ^ "250 TR58 - Index". www.barchetta.cc. Retrieved 2018-09-10. ^ "250 TR59 - Index". www.barchetta.cc. Retrieved 2018-09-10. ^ "250 TRI/60 - Index". www.barchetta.cc. Retrieved 2018-09-10. ^ "All.Ferraris - Cars by serial number . 250 TRI/61". www.barchetta.cc. Retrieved 2018-09-10. ^ "Ferrari 250 Testa Rossa (1958) - Ferrari.com". Ferrari GT - en-EN. Retrieved 2018-09-10. ^ a b c d e f g h Fitzgerald, Warren W.; Merritt, Richard F.; Thompson, Jonathan (1976). Ferrari: The Sports and Gran Turismo Cars (3rd ed.). CBS Publications. ISBN 978-0878800193. OCLC 810446. ^ a b c d e f g h i 1927-1975., Tanner, Hans, (1984). Ferrari. Nye, Doug. (6th ed.). Sparkford, Yeovil, Somerset: Haynes. ISBN 978-0854293506. OCLC 12418956. ^ a b c d e f Mallepelle, Paolo (December 1987). "1959 250 TR59, No. 0766 TR". Cavallino. 42: 25–31. ^ "Ferrari 250 Testa Rossa - History, Photos, Profile". Sports Car Digest - The Sports, Racing and Vintage Car Journal. 2012-12-31. Retrieved 2018-09-11. ^ "Ferrari 246 SP (1961) - Ferrari.com". Ferrari GT - en-EN. Retrieved 2018-09-10. ^ "330 TRI LM s/n 0808". www.barchetta.cc. Retrieved 2018-09-10. ^ "Ferrari 330 TR (1962) - Ferrari.com". Ferrari GT - en-EN. Retrieved 2018-09-11. ^ "1958 Le Mans 24 Hours | Motor Sport Magazine Database". Motor Sport Magazine. 2017-06-13. Retrieved 2018-09-13. ^ "1960 Le Mans 24 Hours | Motor Sport Magazine Database". Motor Sport Magazine. 2017-06-13. Retrieved 2018-09-13. ^ "1961 Le Mans 24 Hours | Motor Sport Magazine Database". Motor Sport Magazine. 2017-06-13. Retrieved 2018-09-13. ^ "1958 Sebring 12 Hours | Motor Sport Magazine Database". Motor Sport Magazine. 2017-06-12. Retrieved 2018-09-13. ^ "1959 Sebring 12 Hours | Motor Sport Magazine Database". Motor Sport Magazine. 2017-06-12. Retrieved 2018-09-13. ^ "1961 Sebring 12 Hours | Motor Sport Magazine Database". Motor Sport Magazine. 2017-06-12. Retrieved 2018-09-13. ^ "1958 Targa Florio | Motor Sport Magazine Database". Motor Sport Magazine. 2017-06-12. Retrieved 2018-09-13. ^ "1958 Buenos Aires 1000Kms | Motor Sport Magazine Database". Motor Sport Magazine. 2017-06-12. Retrieved 2018-09-13. ^ "1960 Buenos Aires 1000Kms | Motor Sport Magazine Database". Motor Sport Magazine. 2017-06-12. Retrieved 2018-09-13. ^ "1961 Pescara 4 Hours | Motor Sport Magazine Database". Motor Sport Magazine. 2017-06-12. Retrieved 2018-09-13. ^ "1958 Nurburgring 1000Kms | Motor Sport Magazine Database". Motor Sport Magazine. 2017-06-12. Retrieved 2018-09-13. ^ "1959 Le Mans 24 Hours | Motor Sport Magazine Database". Motor Sport Magazine. 2017-06-13. Retrieved 2018-09-13. ^ "1959 Tourist Trophy | Motor Sport Magazine Database". Motor Sport Magazine. 2017-06-12. Retrieved 2018-09-13. ^ "1959 Nurburgring 1000Kms | Motor Sport Magazine Database". Motor Sport Magazine. 2017-06-12. Retrieved 2018-09-13. ^ "GT Testarossa: Pininfarina's design broke with tradition, in 1984". Ferrari GT - en-EN. Retrieved 2018-09-10. ^ "Rare Ferraris Compete at Important Pebble Beach Concours". Cavallino Magazine. 2018-09-08. Retrieved 2018-09-10. ^ Lamm, John (2017-08-22). "18 Favorite Ferraris from the 2017 Pebble Beach Concours d'Elegance". Automobile Magazine. Retrieved 2018-09-10. ^ Atwood, James (2017-07-30). "Goodwood 2017: best of Ferrari". Autocar.co.uk. Retrieved 2018-09-10. ^ "Ferrari 250 Testa Rossa Breaks All-Time Auction Record". Sports Car Digest - The Sports, Racing and Vintage Car Journal. 2009-05-17. Retrieved 2018-09-10. ^ "250 TR s/n 0714TR". www.barchetta.cc. Retrieved 2018-09-10. ^ "1957 Ferrari 250 Testa Rossa". Gooding & Company. Retrieved 2018-09-10. ^ Phillips, Drew (2018-08-22). "1957 Ferrari 250 TR Prototype sells for record $16.39 million at Gooding's Pebble Beach auction". Autoblog. Retrieved 2018-09-10. ^ "250 TR s/n 0666". www.barchetta.cc. Retrieved 2018-09-10. ^ Ernst, Kurt (2014-01-30). "Unrestored 1957 Ferrari Testa Rossa Reportedly Sells for $39.8 million". www.hemmings.com. Retrieved 2018-09-10. ^ Lamm, John (2011-04-29). "1958 Ferrari 250 Testa Rossa". Road & Track. Retrieved 2018-09-10. ^ "250 TRI/61 s/n 0792TR". www.barchetta.cc. Retrieved 2018-09-10. ^ "Ferrari 250 TR Recreation Is Better Than The Real Thing". Motor Authority. Retrieved 2018-09-10. ^ "Bonhams : 1962 Ferrari 250 Testa Rossa Re-creation Chassis no. 4257". www.bonhams.com. Retrieved 2018-09-10. ^ Sheehan, Michael (January 2006). "Fake Ferraris for Fun and Profit". www.ferraris-online.com. Retrieved 2018-09-10. ^ Sheehan, Michael (February 2002). "Clone Wars". ferraris-online.com. Retrieved 2018-09-10. Machining is any of various processes in which a piece of raw material is cut into a desired final shape and size by a controlled material-removal process. Exactly what the part of the definition implies can vary. Machining is a part of the manufacture of metal products, but it can be used on materials such as wood, ceramic. A person who specializes in machining is called a machinist, a room, building, or company where machining is done is called a machine shop. Machining can be a business, a hobby, or both, much of modern-day machining is carried out by computer numerical control, in which computers are used to control the movement and operation of the mills and other cutting machines. The precise meaning of the term machining has evolved over the past one, in the 18th century, the word machinist simply meant a person who built or repaired machines. This persons work was mostly by hand, using processes such as the carving of wood. 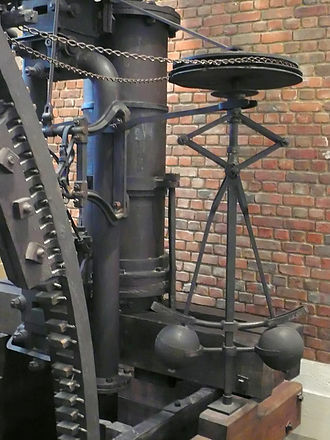 At the time and builders of new kinds of engines, such as James Watt or John Wilkinson, the noun machine tool and the verb to machine did not yet exist. Around the middle of the 19th century, the words were coined as the concepts that they described evolved into widespread existence. Therefore, during the Machine Age, machining referred to the machining processes, such as turning, drilling, broaching, shaping, reaming. In current usage, the term machining without qualification usually implies the traditional machining processes, the three principal machining processes are classified as turning and milling. Other operations falling into miscellaneous categories include shaping, boring and sawing, turning operations are operations that rotate the workpiece as the primary method of moving metal against the cutting tool. Lathes are the machine tool used in turning. Milling operations are operations in which the tool rotates to bring cutting edges to bear against the workpiece. Milling machines are the machine tool used in milling. Drilling operations are operations in which holes are produced or refined by bringing a rotating cutter with cutting edges at the lower extremity into contact with the workpiece, drilling operations are done primarily in drill presses but sometimes on lathes or mills. The World Sportscar Championship was the world series run for sports car racing by the FIA from 1953 to 1992. The official name of the series changed throughout the years, however it has generally been known as the World Sportscar Championship from its inception in 1953. 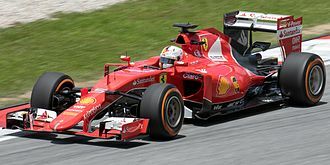 The World Sportscar Championship was, with the Formula One World Championship, in 2012 the World Sportscar Championship was revived and renamed as the World Endurance Championship. Cars were split into Sports Car and GT categories and were divided into engine displacement classes. The Ferrari and Maserati works teams were fierce competitors throughout much of the decade, notably absent from the overall results were the Jaguar works team, who did not enter any events other than Le Mans, despite the potential of the C- and D-Types. In 1962, the calendar was expanded to include smaller races, the World Sportscar Championship title was discontinued, being replaced by the International Championship for GT Manufacturers. They group cars into three categories with specific sizes, less than one litre, less than two litres, and over two litres. Hillclimbs, sprint races and smaller races expanded the championship, which now had about 15 races per season, for 1963 the three engine capacity classes remained but a prototype category was added. For 1965 the engine classes became for cars under 1300 cc, under 2000 cc, in 1972 the Group 6 Prototype and Group 5 Sports Car classes were both replaced by a new Group 5 Sports Car class. These cars were limited to 3.0 L engines by the FIA, the new Group 5 Sports Cars, together with Group 4 Grand Touring Cars, would contest the FIAs newly renamed World Championship for Makes from 1972 to 1975. 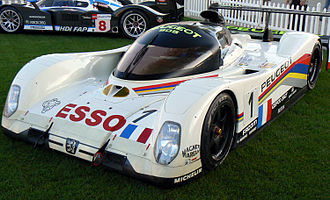 Prototypes returned in 1976 as Group 6 cars with their own series, the World Championship for Sports Cars, in 1981, the FIA instituted a drivers championship. While this change was unwelcome amongst some of the private teams, several of the old guard manufacturers returned to the WSC within the next two years, with each marque adding to the diversity of the series. Under the new rules, it was possible for normally aspirated engines to compete with the forced induction engines that had dominated the series in the 70s. Ralph Lauren is an American fashion designer and business executive, best known for the Ralph Lauren Corporation, a global multibillion-dollar enterprise. He has become known for his collection of rare automobiles. Lauren stepped down as Chief Executive Officer of the company in September 2015 but remains its Executive Chairman, as of October 2016, Forbes estimates his wealth at $5.5 billion, which makes Ralph Lauren the 233rd richest person in the world. Ralph Lauren was born in The Bronx, New York City, to Ashkenazi Jewish immigrants and Frank Lifshitz and he is the youngest of four siblings – two brothers and one sister. Lauren attended day school followed by MTA, before graduating from DeWitt Clinton High School in 1957. He grew up playing basketball and baseball and he wanted to be Joe DiMaggio, and he wanted to be a movie star. Lauren constantly draws inspiration from his heroes including Frank Sinatra, Cary Grant and he went to Baruch College, at the City University of New York where he studied business, although he dropped out after two years. From 1962 to 1964 he served in the United States Army, the Ralph Lauren Corporation started in 1967 with men’s ties. At 28 years-old, Lauren worked for the tie manufacturer Beau Brummell, drawing on his interests in sports, Ralph Lauren named his first full line of menswear ‘Polo’ in 1968. He worked out of a drawer from a showroom in the Empire State Building. By 1969, the Manhattan department store Bloomingdales sold Lauren’s men line exclusively and it was the first time that Bloomingdale’s had given a designer their own in-store boutique. In 1971, Ralph Lauren Corporation launched a line of tailored shirts for women, the first full women’s collection was launched the following year. 1971 marked the opening of Ralph Lauren’s store on Rodeo Drive in Beverly Hills and this is the first freestanding store for an American designer. In 1972 the Ralph Lauren Corporation introduced a signature cotton mesh Polo shirt in various colors, featuring the polo player logo at the chest, the shirt became emblematic of the preppy look—one of Ralph Laurens signature styles. Carrozzeria Scaglietti was an Italian automobile design and coachbuilding company active in the 1950s. It was founded by Sergio Scaglietti in 1951 as an automobile repair concern, Scaglietti gained Enzo Ferraris trust and respect both through his bodywork and design skills and for providing a retreat for Dino Ferrari as a youth. Scaglietti is credited with the headrest bump present on most racing Ferraris of the 1950s and 1960s, the companys 1958250 Testa Rossa, with its Formula One-inspired pontoon fenders, is one of the most famous Scaglietti designs. In the mid-1950s, Scaglietti became the Carrozzeria of choice for Ferraris racing efforts, many sports racing prototypes were designed and manufactured at their facility. All those exclusively designed by Scaglietti carried the Scaglietti & C. badge while cars built to outside designs didnt, several of Ferraris most coveted models such as the 250 California,250 GTO and 250 Tour de France were built by Scaglietti to a Pinin Farina design. Today, the former Scaglietti works is owned by Ferrari and used to produce the aluminum F430 and 612 Scaglietti cars, a special version of the 456, the 456M GT Scaglietti at the time was named in his honour. Making a shipboard manhole cover in the machine shop of the aircraft carrier USS John C. Stennis. A "numerical controlled machining cell machinist" monitors a B-1B aircraft part being manufactured. A replacement head gasket sitting loosely on top of a four-cylinder 1989 Vauxhall Astra engine block. Once positioned correctly the cylinder head will be bolted down on top of it, using a torque wrench. A damaged head gasket can allow gases to leak between cylinders.